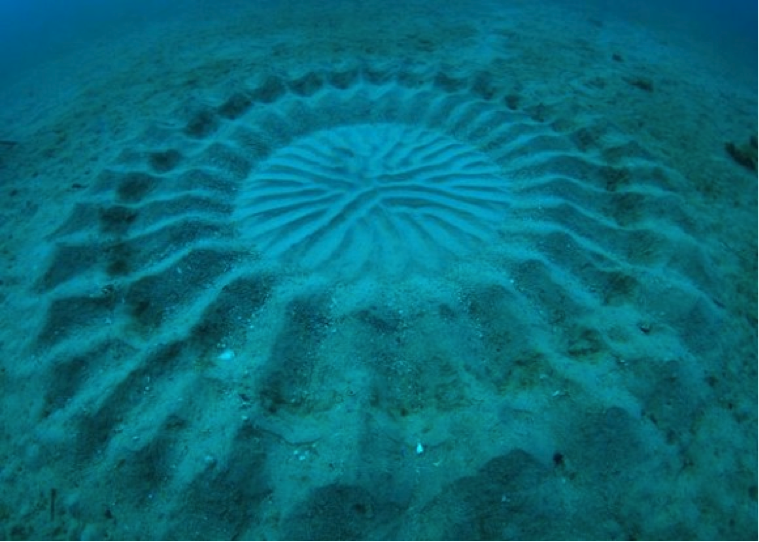 The underwater version of crop circles! Some of the intrigue with crop circles faded once people stopped thinking they were made by aliens, but these sand circles are even more interesting to behold once you know where they do come from. So who or what makes these enigmatic sculptures where they are doomed to fade into nonexistence once the ocean erodes them away? No, not an alien race, nor a group of people from of the legendary Atlantis, but Puffer fish! Once the female has found the grooves, she will follow the ridges to the male in the center, mate with him, and lay her eggs. The more ridges the circle contains, the more likely it is that the female will mate with the male, because she knows that the ridges will buffer the eggs from currents, thereby protecting the eggs from disturbance and exposure to predators. Furthermore, the seemingly decorative seashells provide nutrients to the eggs and newborn puffer fish. 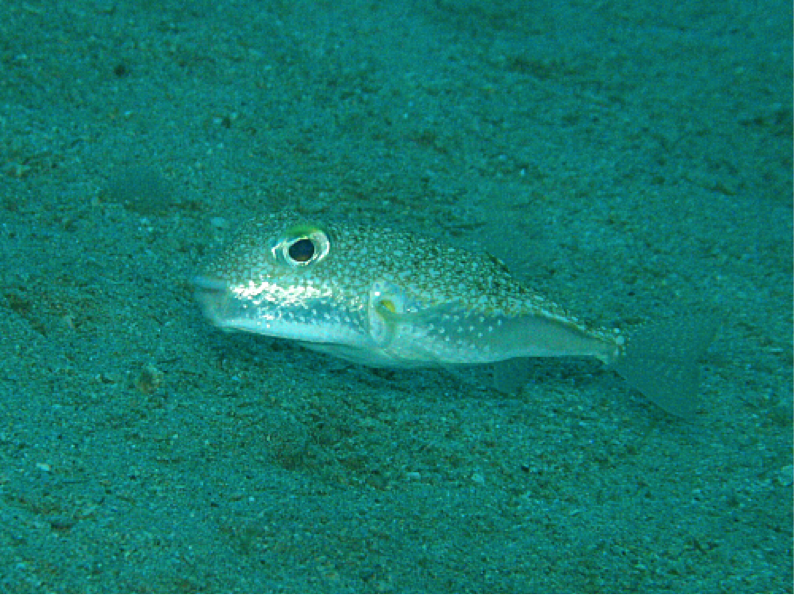 Next time you get annoyed by the sand that gets in every orifice after a day at the beach, or think humans are clever for using sand to make glass and concrete, think about how the puffer fish makes art out of sand to attract females, protect its young, and provide sustenance to its offspring just by using the raw stuff-and you might find new appreciation in sand, and the ingenuity of animals, a little more.